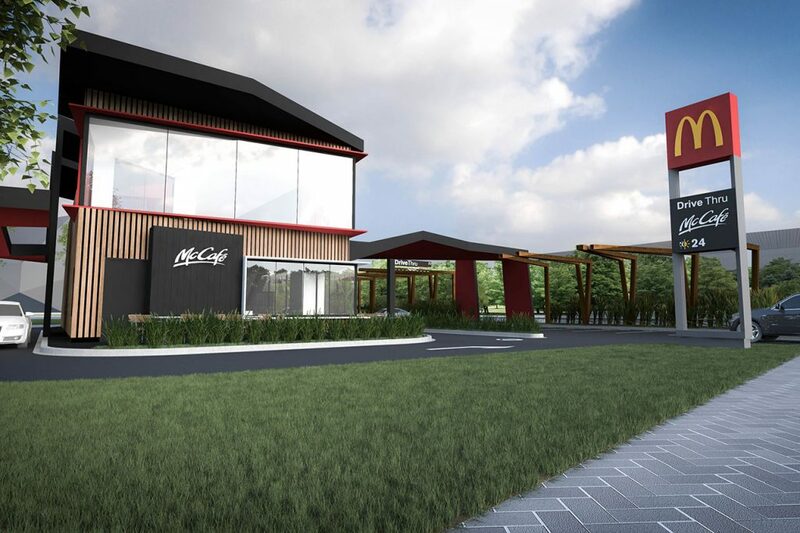 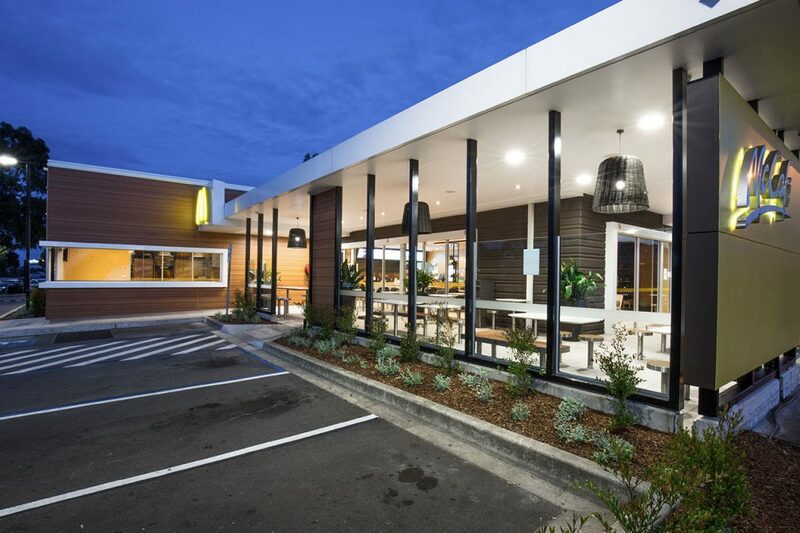 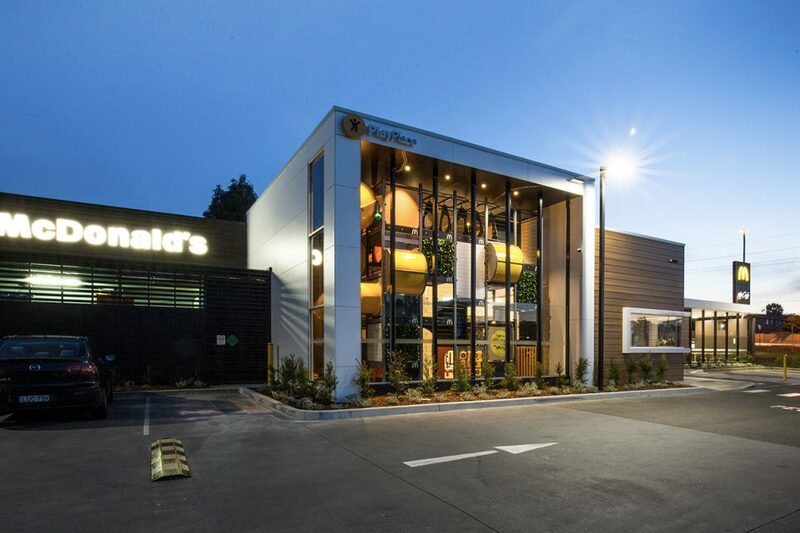 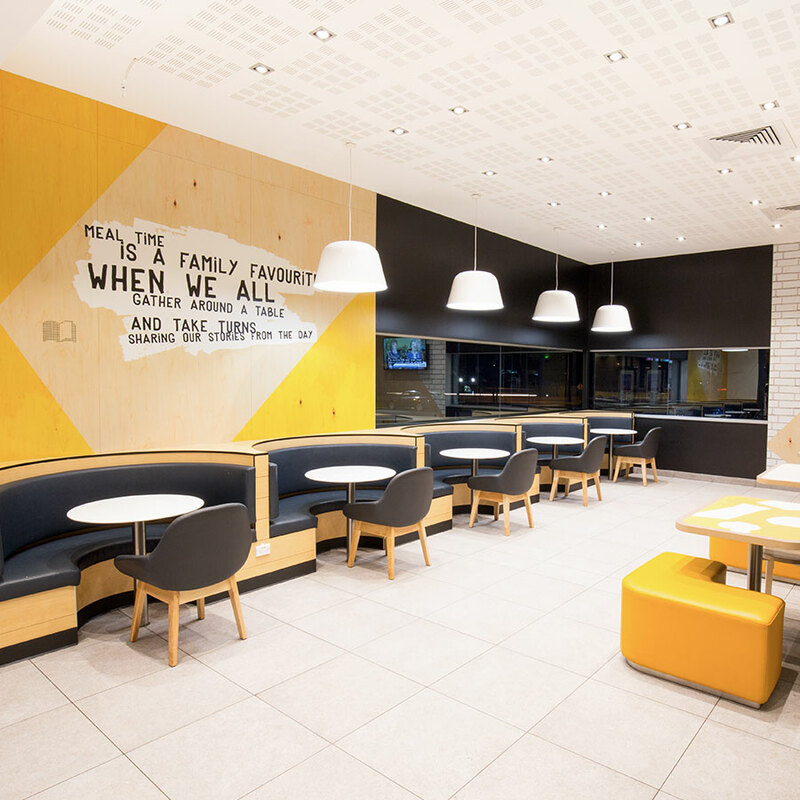 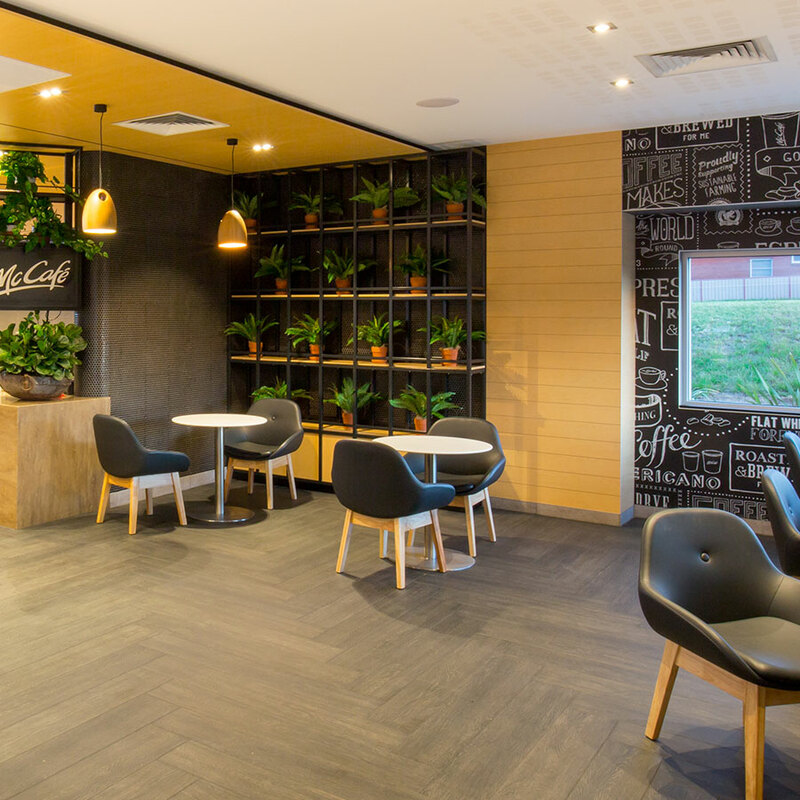 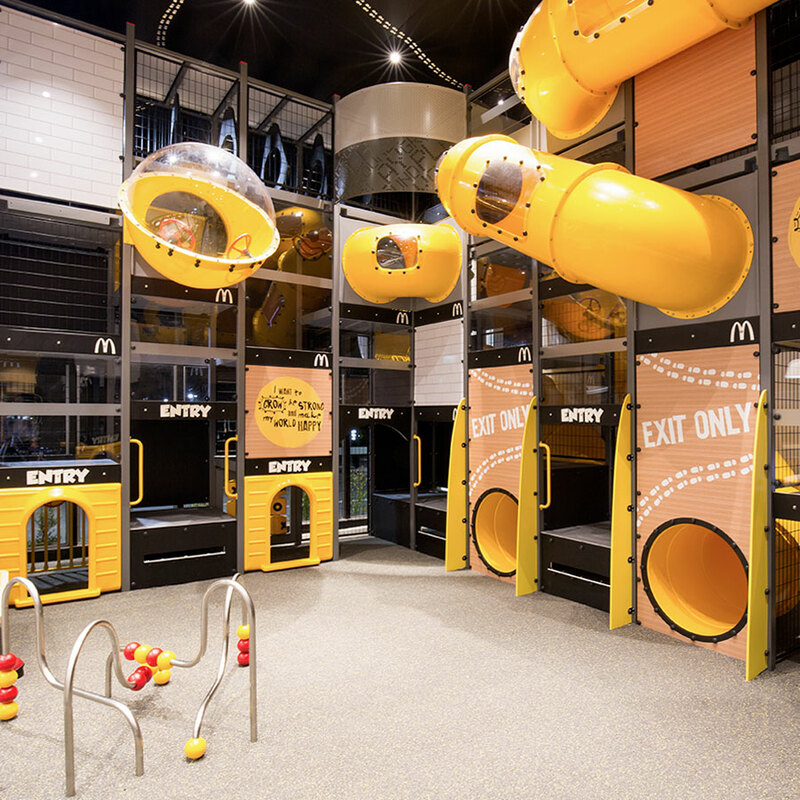 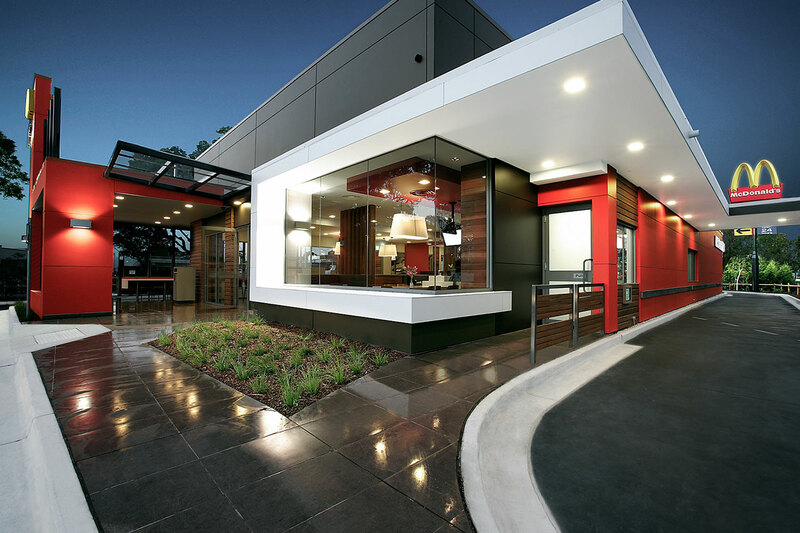 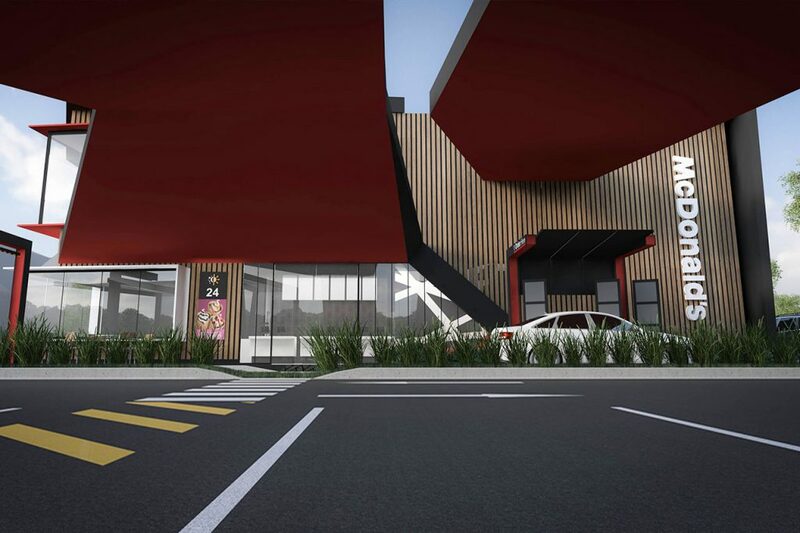 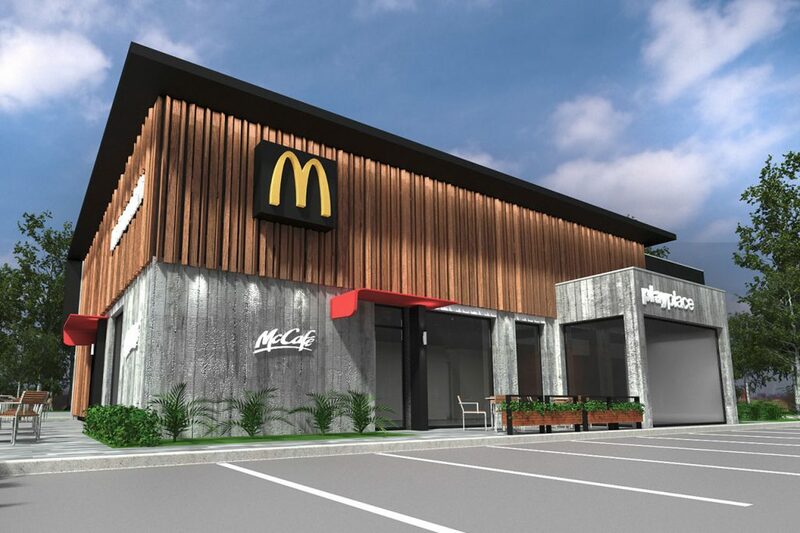 From 2000 through to 2016 the international fast-food giant McDonald’s delivered and implemented one of their biggest global overhaul of their stores. 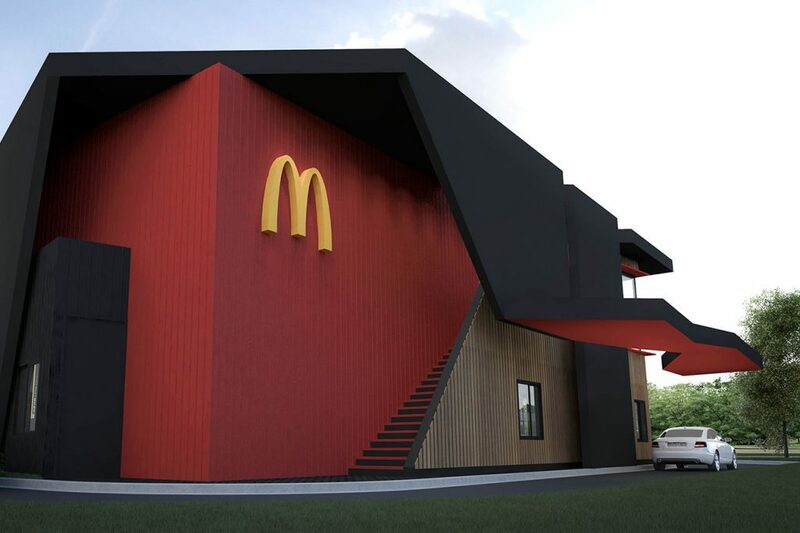 The brief was to concieve a “contemporary building”. 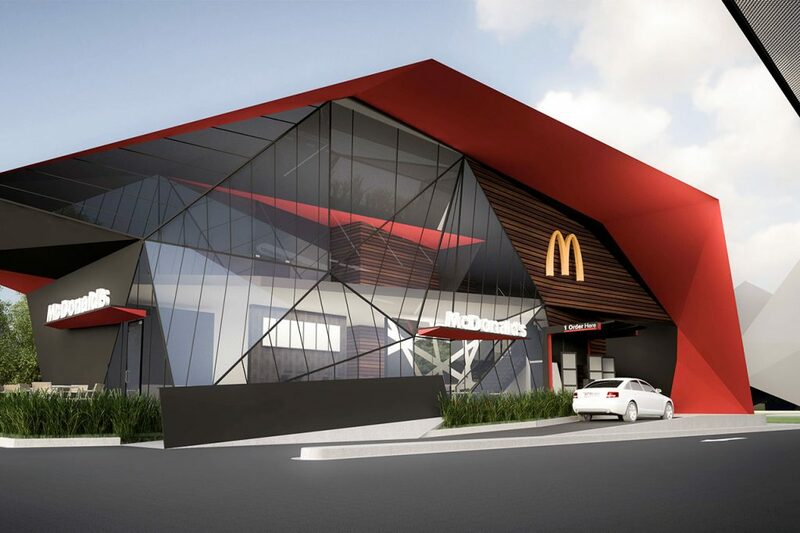 Villa+Villa responded delivering a brand new building featuring folded exterior planes — what Eduardo Villa refers to as its ‘Blade and Ribbon’ concept. 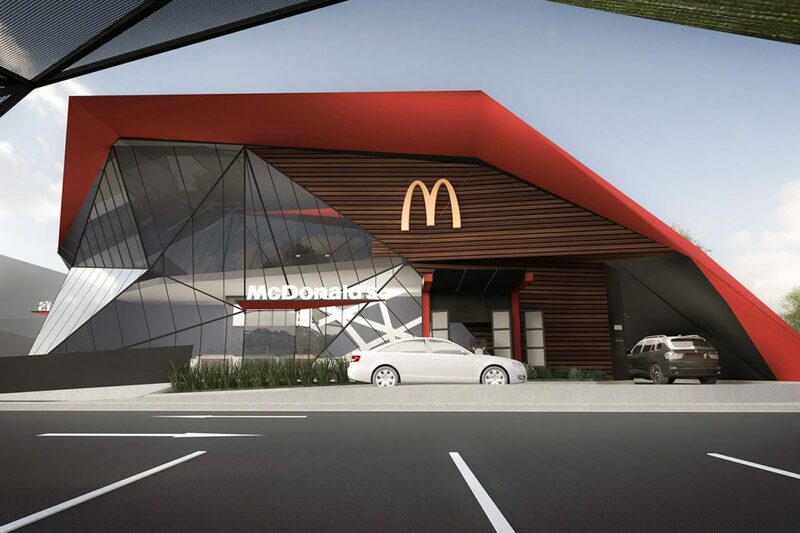 This concept was so successfull it was rollout around the globe. 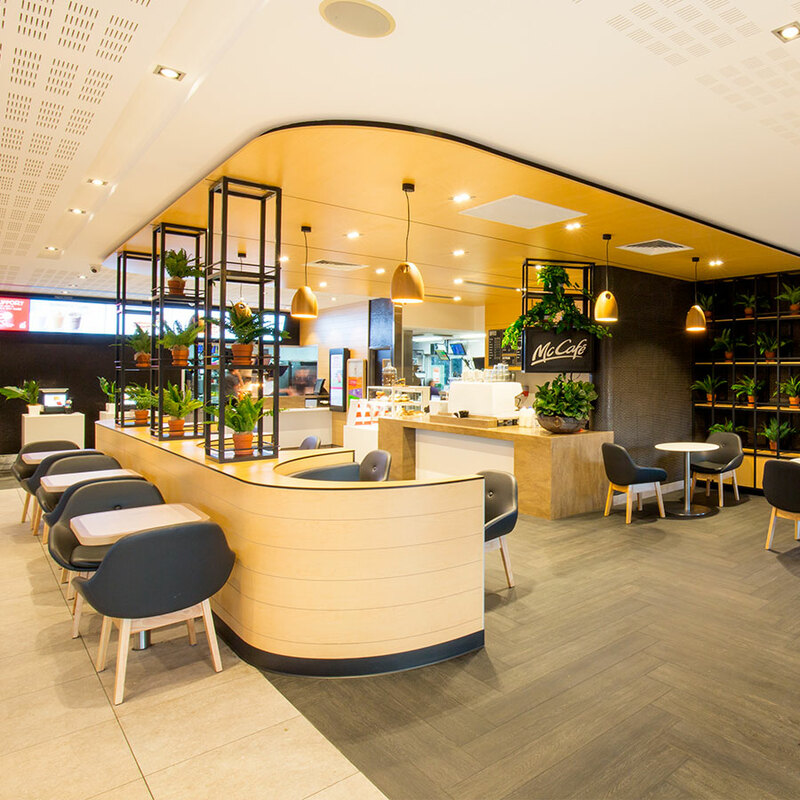 In those sixten years Villa+Villa’s Blade and Ribbon Construction Package — which showed countries how to adapt the model to suit their own local materials — has been used to design over 500 new restaurants and renovate another 100 existing buildings.